BSE’s depository subsidiary Central Depository Services Limited (CDSL) is likely to file IPO prospectus with market regulator SEBI in the days to come. The upcoming CDSL IPO is likely to be an offer for sale (OFS) by existing shareholders. CDSL promoter Bombay Stock Exchange (BSE) holds 50% equity stake in the depository firm after selling nearly 4% earlier this year to Life Insurance Corporation (LIC). The stake sale garnered nearly INR34 crore (INR340 million) for BSE, valuing CDSL at approximately INR850 crore. Apart from BSE and LIC, Bank of India, Bank of Baroda, State Bank of India (SBI), HDFC Bank, Canara Bank, Standard Chartered Bank, Union Bank of India, Bank of Maharashtra, and Calcutta Stock Exchange are other shareholders in CDSL. According to the existing SEBI regulations, stock exchanges cannot own more than 24% of a depository. Accordingly, majority of shares to be sold through CDSL IPO are likely to be offered by BSE. CDSL IPO will be India’s first public offer for a depository. Depository firms offer electronic or dematerialized storage of securities such as shares, debentures, and bonds. 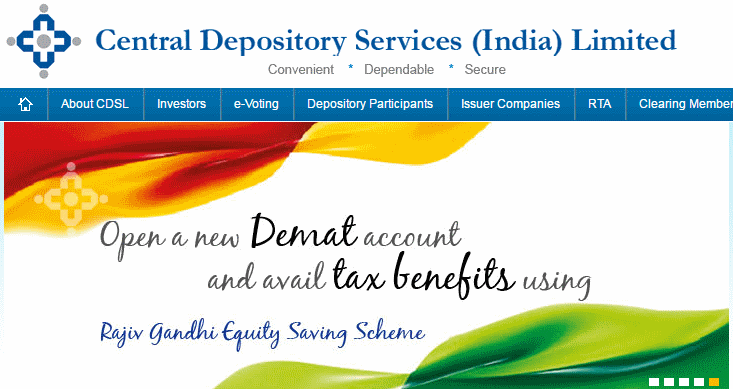 CDSL is among the biggest depositories in India with a user base of nearly 16 million demat accounts. During the financial year (FY) 2015, CDSL earned a net profit of INR43 crore on top line of INR105 crore, according to data available on its website. India has two depositories, the other being NSE-promoted National Securities Depository Limited (NSDL). CDSL IPO follows similar plans by its parent BSE. Asia’s oldest bourse filed draft prospectus with SEBI in September 2016 and it is understood to be a matter of weeks before BSE IPO gets regulatory clearances. The NSE-rival is eyeing a valuation in the range of INR4,500 – 6,000 crore in the IPO.